2018 has come and it’s so habitual to all of us to check whether this or that place deserves your attention and money. You’ll never make a reservation for an event in a pub before you browse through numerous reviews of the satisfied or unsatisfied people. You’ll never book a luxurious traveling to a tropical country until you study the feedback of the experienced travelers. And you’ll never order anything from an online store until you browse through the photos and ratings created on the base of the opinions of the buyers. It’s even the same with the movies. Review generators will never get out of fashion. They have a huge influence not only on the fate of numerous consumers. That’s why they should become one of your greatest focuses if you’re really interested in the development and promotion of your business. They can be a real break-through for the future of your enterprise. The research of Cone Communications proved that four out of five people decide not to get this or that product or service if they run into negative opinions about them in the net. 33% of people who participated in the research of ReviewTrackers say they’ll never dine in a restaurant with less than 4-star rating. Innumerable researches of opinions show that users trust the experience of real people more than advertising, no matter how trustworthy it may look. Business-owners and promotion managers need to understand that online reviews and ratings created by real people have more potential strength than habitual advertising tools. Give people a chance to express their real feelings about this or that thing that you offer and use this information for further development of what you do. Correct your mistakes and socialize. Real people’s voice should become your focus when you go online. It’s unquestionable. Your keen attention can protect the future of your business giving it a firm basis. You’ll develop the enterprise, you’ll keep your reputation rising and you’ll make friends with your buyers if you take their needs into consideration. Fresh detailed reviews will make your commercial activity credible. The more users leave feedback all over the Net, the easier it will be to find your website in the search. You’ll get a nice ranking and your potential customers will have more chance to get into your website. You’ll get competitiveness that works a way better than annoying and pricey advertising. We’ll help you get started. We’ve made up a list of trustworthy review websites that may be very useful. Tell your management about them and get into direct contact with your clientele. That’s an American platform which started its existence in 2004. The audience of the platform is more than a hundred million guests and the reviews found there are devoted commercial activities of all sizes starting from cosmetology and medicine and finishing with pubs and hotels. More than 82% of people use Yelp before they proceed with the purchase of this or that product or service. About 93% of people using Yelp actually buy something following the advice on the platform. All business owners can easily get in contact with their customers using a dashboard. Claim your personal business page there and get popularity and a possibility to develop! Yes, we all know that Google is one of the most famous search engines. It has always been this way until it received its integration into millions of mobile devices all over the world. The platform is actively posting fresh customers’ reviews that you can find on business pages of Google+. The reviews can also be found on the map. 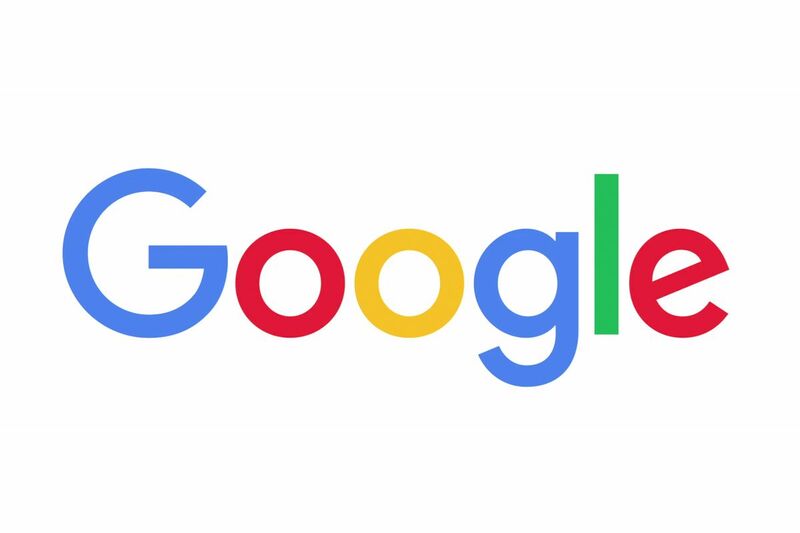 Use Google My Business for your company if you’re willing to manage and respond to the reviews of your customers. Google supports only verified accounts. After you sign up, you get a great open world of business development using your clients as a practical tool. It’s one of the most useful web resources for travelers. The platform started its existence in 2000. Since that time, it has collected more than 350 million reviews from people of all ages and nationalities. No wonder! The site works in collaboration with millions of companies dealing with restaurants, travel agencies, accommodations, attractions, and places of interest. TripAdvisor gets more than 300 visits of new customers every month and it works in collaboration with 48 markets in the world. It works in cooperation with numerous brands actively circulating in the mass media. The statistics of World Travel Market proves that the company is the first one in matters of fresh recommendations from the users, detailed professional touristic guides and in-depth reviews. TripAdvisor deals with a lot more than a hotel and traveling business. Here you’ll get ratings and reviews of worldwide landmarks, hotels and hostels, restaurants and cafes, pubs and clubs, theme parks and entertainment centers, various attractions and places of interest. It contains everything that a traveler may need, no matter what he’s into – a business trip or an enjoyable summer holiday for a family. Do you own a nice comfy inn in the woods of picturesque northern states? Do you possess a cozy Irish pub in the area and have no idea how to attract new guests? Are you looking for regulars, further advancements and financial benefit? Well, you definitely ought to sign up to and track the users’ reviews to improve your business plans and get a better idea of what a usual customer needs. The service also gives a possibility to answer to the reviews of the users. One of the oldest and most popular social platforms in the world. It’s still growing and developing adding and testing out new services every year. It’s also one of the fastest developing review platforms in the net. One of the most successful additions for customer reviews was launched in 2015 and it’s called Professional Services. This tool gives Facebook users a possibility to rank businesses, products, and services; participate in polls and share the impressions with friends (which widens the audience). One of the latest researches held by ReviewTrackers proved that the quality and quantity of customer reviews on Facebook is growing. The platform has managed to get in collaboration with about 250 restaurants in half a year. Facebook’s pace of development in matters of customer reviews is faster than the one of Google or Yelp – the platform is actually developing very fast. You can create an account for your business in Facebook Professional Services, contact your clients, and answer their questions with the help of your personal Facebook Page. It’s not just a customer review platform, but a quite famous mobile application. Foursquare can help you find a nice place to dine, to shop or to entertain. Not long ago Foursquare popularized the system of “check-ins” and it still helps the platform to be dynamic. The “check-in” feature is carried out through Swarm – a separate mobile app by Foursquare. The users of the platform can leave reviews, ratings, share experiences with friends and post tips in various lists for the newcomers. If you have an approved account at Foursquare you can claim for a business listing and run a section of our personal business tips. There’s only one drawback of the platform – business owners have no possibility to comment on the customers’ reviews and leave answers to their questions. It has extreme popularity in the United States with about 70 million reviews per month. The wide choice of categories includes health, auto, restaurants, home renovation, wellness, and more. The platform gives business owners a possibility to contact their users and answer to the reviews. You’ll only have to join the platform. There’s a free and a paid version of the website. Of course, the paid one offers a lot more functionality. The company gets completely no profit focusing on the trust of the customers. Their database of reviews is easily searchable. You can get the information about a certain business using the name of the business itself, website address, email or phone number. The site integrates into various public sources to get data and use it to create their personal ratings and reviews. They’ve got an A+ - F rating scale. Their high-end reviews are created by the professionals. 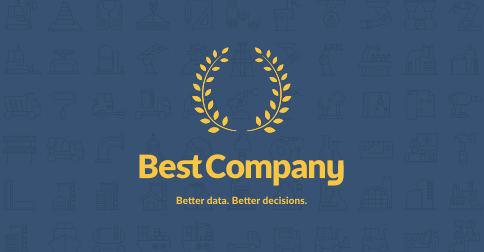 Their coolest feature is to explain what factors affect the rating of this or that enterprise – they make a deep analysis basing on the trustworthy data. Any business holder can respond to the reviews or complaints of the customers. The platform was created in 2007. This Danish organization presents itself as a huge review community where users can post and share their impressions with each other. The website itself is very transparent and it has already generated about 20 million reviews. Trustpilot mostly deals with companies basing in the United States, United Kingdom, Germany, France, and Demark. The platform allows authorized business owners leave their answers for the reviews. The simplest and the most resource accumulating people’s opinions. It’s completely independent and it ranks about four thousand businesses of all sizes. The catalog includes 126 industries and it’s always updating. The comments of the users are thoroughly checked and they are all real. Customer experience and their independent opinion are king there. The company is quite old – it appeared in 1998. It fully concentrated on cars and their owners. The website operates an enormous database of thorough reviews, offers and detailed information on how to find the right vehicle, get a decent dealer and sign a contract with a trustworthy provider. Millions of thankful buyers can’t but agree that this web company has always been the largest and the most powerful automotive review platform. Not long ago it got into collaboration with DealerRater, which made the audience wider. Every dealer that managed to achieve the trust of the customers on this site leads a successful and developing business. The site has over four million guides, comments and approved feedback and the number is constantly growing. If you’re an owner of an automotive business, you’d better get in contact with the audience on Cars.com for a more productive future. The platform also deals with reviews on nice bargains, cars, as well as trade representatives in the niche. That’s one of the oldest companies that started its work somewhere in the 1960s in a paperback edition. The world of online technologies gave the platform a chance to offer a wider range of services all over the net. There you can also get hold of such tools as True Cost to Own or True Market Value. Dealers can easily comment on the users’ notes and questions providing them with relevant information. They’ll only have to create an official account and log in. It’s the third popular diner review resource after TripAdvisor and Yelp. It spreads its activity in 23 countries and it operates an enormous body of information about over a million restaurants. The executives of the various diners can stay in touch with the clients by responding to the positive and negative reviews. Consider registering there if you’re a caring business owner willing to develop a reputable enterprise that will never get less popular because people have always loved to eat and this will never get to an end. They’ll help you define the pros and cons of what you do and give you a working scheme for further development. The company was created in 1998. It’s on the list of most powerful review platforms for cafes, restaurants, and bars. It works in collaboration with about 19 million diners monthly and over 37 thousand bookings are made with the help of this resource. OpenTable also works in a stable partnership with Zagat, Google, and TripAdvisor. The system of reviews started functioning in 2008. By this day the platform has managed to generate over 40 million top-notch guides and feedback articles. About 750 thousand new reviews are checked and filtered monthly. The proprietor of any restaurant can get in contact with the clients. If you’re a business owner, willing to use the system, you’ll have to join the network and log in. You’ll also need a separate email to be able to get notifications. SoftwareAdvice has held their personal investigation into the history and functionality of this resource. The key point is that this website attracts tons of users due to down-to-earth realistic information and catalogs of reviews including hospitals, doctors, and innumerable medical services. The company successfully exists for 2 years and over a million people use Healthcare as a guide filled with guides. Businessmen can react to the reviews on a general business page. Unfortunately, there’s no possibility to post an answer to a certain comment of the potential customer. However, the owners of verified accounts filled with id information get access to a special Profile Commentary section. 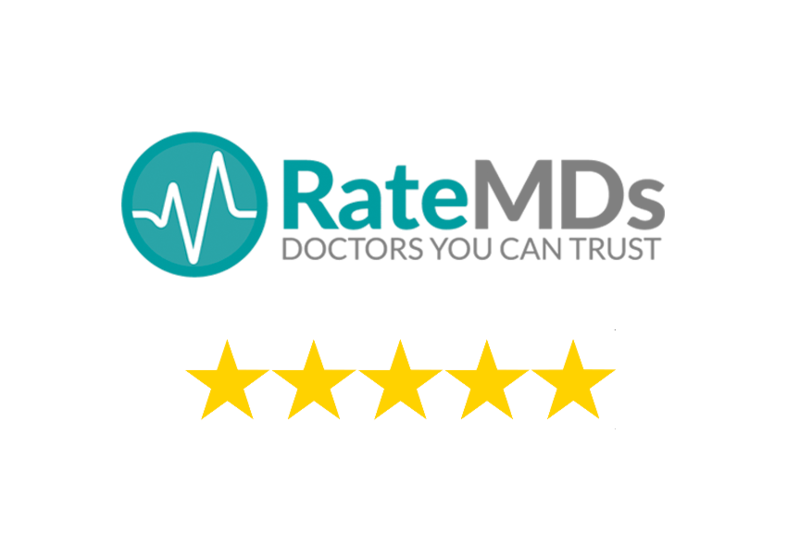 The service exists more than ten years and for this period the professional team of RateMD managed to check, verify and post more than two million reviews and ratings of doctors, their services, and medicinal trends. The doctors on the website are allowed to contact the users and answer their questions. Just claim a profile and get through the registration to accumulate positive as well as negative information to plan your successful future and help your potential clients deal with their health issues. This place has been accumulating reviews and info on various doctors since 2007. That’s a huge base open to millions of interested people searching for professional help. Over six million approved fresh reviews can be found there monthly. The site contains data about the accuracy, behavior, honesty, and accuracy of doctors. If you’re one of the doctors willing to be successful, claim your account, get in the list of approved medical professionals and get in touch with your customers communicating with them and answering their questions.